Are you struggling with anxiety and depression? These mental disorders are some that we try to avoid talking openly about in modern society, but the fact is these mental disorders are some of the most common mental health concerns in the United States. You are not alone while trying to fight this battle and your fight could be a lot easier if you had one of these amazing puppies by your side. Below is a list of puppies that make for the best friends while struggling with anxiety and depression. These mighty creatures are undeniably the most affectionate little guys where you could invest your money. They are known for being patient, easy going, and extremely bright. This is the perfect dog to comfort you in times where you feel like giving up. This dog is small enough to fit on your lap at any given time and give you a sense of safety and security. If you want a bigger animal to help you through life you should definitely consider a Labrador Retriever. These furry friends are known for their complete kindness and gentle personalities. Taking care of these playful pups can be just the right distraction for you when you’re feeling overwhelmed. These dogs are fun to spend time with and give you unconditional love. These dogs are faithful, intelligent, and alert. They are just what you need in your home when you are feeling down. Poodles love to play as well as being affectionate in times where you need them. These dogs are extremely intelligent and can sense when their best friend needs a little love. Having a dog to take care of gives your life a sense of purpose to help you break free of anxiety and depression. These friends are the best faces to come home to after a rough day. They will be there for you no matter what and live to make you happy. If this makes you more interested in buying a dog Google “puppy stores near me,” and visit our store today. Are you a single parent wanting to add an additional furry friend to your household? Well, if you are and you have no idea which dog breed will be good to let around your children consider reading further. The best family-friendly dogs are the ones that grow up with you from the time that they’re little until they get big. Some dogs to consider are listed below. These are dogs that have a loyal and friendly personality, perfect for allowing around your children. This breed is known for looking after children and being a dog in which most families find safe. If you’re wanting a dog that will give you a little bit of relief from having to watch the kids all the time this is the dog you want to invest in for your family. There are Schnauzer puppies for sale right here at Petland, so contact us today for more information! These dogs have a very big heart. They are kind and extremely respectful of their environments. They are also intelligent and very watchful. Most police dogs are German Shepherds due to their protective nature. A German Shepherd puppy is exactly what you need if you need an extra sense of security in your single parent household. Another great medium sized guard dog for a family is the Boston Terrier. These dogs are known for their lively personalities, their friendliness, and intelligence. These dogs make for a perfect match when looking for a dog that will get along with all the children in the house. All in all, if you are looking for a dog to buy for a single parent household look at these three breeds. They are sure to provide a sense of security and trust in your household. These furry friends can each be purchased at a Petland store near you. Your furry new friend awaits! 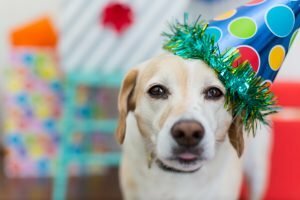 4 Ideas for Celebrating Your Puppy’s Birthday! You dreamed of having a puppy for the longest time before purchasing your very own at Petland. Celebrate the anniversary of your dog’s “birthday” by incorporating one or more of these great ideas. Dog-friendly cake recipes are widely available online, in fact, we have posted dog-friendly recipes a few times! These recipes look so yummy you’ll be tempted to have a slice. Your puppy will eat this special gesture all the way up. Just like a kid, your puppy will be thrilled at the idea of a new toy. They really get excited and it’s amazing to watch them realize that the toy you’ve dropped on the floor is actually for them! You can find a great selection of toys at Petland stores near you. These toys are chewable and will keep your puppy entertained for hours. What’s better than a house with one dog? A house full of dogs, of course! Invite fellow pet owners over for an enjoyable night of food, fun, and dogs. If you have the space, set up an obstacle course in the backyard. If it’s a sunny and hot day, purchase some plastic swimming pools and fill it for your puppy and their friends! It’s the perfect way to celebrate a birthday for human and dogs. If the festivities just aren’t your style, you can simply opt for a quiet night of quality time with your furry family member. Enjoy a meal and a movie while cuddling with your puppy. The quality time will enhance your bond and remind your puppy that he is loved, wanted, and appreciated. The quality time will please you as the owner, too! 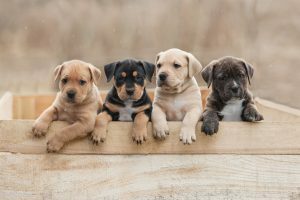 Are You Considering Buying a New Puppy? Are you considering buying a brand new puppy? Our staff at Petland thinks this is one of the greatest ideas you’ve ever had. Puppies of any breed can become a person’s best friend instantly. You are destined to become best friends as long as you make sure the puppy you get matches what you’re looking for that meshes well with your lifestyle. If you’re having difficulty deciding what puppy you would like to buy, look no further! Below is a list of puppies with different personality traits to consider before you buy them. These cute little dogs may be small but that does not stop them from having a courageous personality. They are commonly known as being a big dog in a small dog’s body. If you feel that you are ready to take on this outgoing personality without having to handle a big dog you should totally get a Yorkie. Yorkies are also known for expecting a significant amount of attention. If you feel as though you can provide the amount of playtime and singled attention to this dog, you have found a match. There are Yorkies for sale at Petland just waiting for a home. Not only are Pugs some of the most charming dogs you’ll ever meet but they are also quite clever, sociable, and attentive. These are very well-behaved dogs that are sure to entertain you. The other benefit of having a Pug is that you don’t have to worry too much about shedding. If you want a charming Pug just Google “pugs for sale near me” and you will be sure to find this special animal. If you’re looking for a dog that’s a little bit bigger than a lap dog consider buying a Lab. They are one of the kindest and most gentle dogs out there. Not only are they fun to play with but they are also incredibly intelligent. They will not let you down while playing catch with them. If you are looking for a dog with a very kind personality there are Labs for sale at a Petland nearest to you. When looking for dogs be sure to contact Petland. We have 45 years of experience in the pet industry and have earned a reputation as a trusted company. We aim to sell great dogs that match your interests and exactly what you’re looking for in a best friend. When you purchase a puppy for sale at Petland you get more than just a furry friend. At Petland, we are dedicated to providing you with the education you need to have a long-term and successful relationship with your new puppy. Just as with humans an early focus on dental care can improve the overall health and appearance of your puppy. Whether you purchased or are shopping for newborn puppies for sale we encourage you to read these five tips for keeping your puppy’s teeth healthy. Dog love bones which is why at Petland stores we carry the Nylon bones that pups can’t resist. These bones are a great activity that keeps dogs occupied for hours and as the nylon frays, it acts like food removing tartar and plaque build-up from your puppy’s mouth. Did you know there are specialty toothbrushes made just for dogs? The acts of brushing help to remove trapped food and stimulates gums which feels really good to dogs. Start brushing your dog’s teeth early so he can adjust to the sensations from a young age. Dogs can use a special rinse to decrease bad breath. Unlike human mouth rinse, dog mouthwash does not contain alcohol making it safe for pups to swallow. While tennis balls seem like a great option for dog toys they actually can be harmful to your dog’s smile and overall health. The hair on the tennis ball gets easily trapped in between your pup’s teeth and these balls break easily and are then ingested making them a choking hazard. The Kong brand of dog toys was made to withstand the jaws of even the strongest pets. These rubber toys help keep dogs occupied and helps satisfy the sensation to chew, which helps protect your shoes and other valuables around the house. So you saw that Petland has Cavalier puppies for sale, and you rushed into your closest pet store. Now you are officially a puppy parent. Here are five things you must have that you may not have considered before buying a dog. When it comes to puppies there is an unspoken and often unbelievable time commitment. Puppies are like babies learning and experiencing the world for the first time through fresh eyes. You will need to invest time to ensure their needs are met and they remain out of harm’s way. As your puppy grows and begins to understand the world, the amount of time they require reduces drastically. 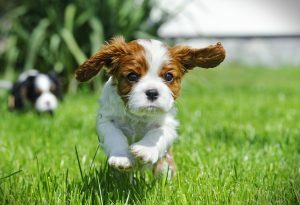 When you saw the group of Cavalier puppies for sale in the kennel you probably noticed these puppies are full of energy. You will need adequate energy to keep up. These pups enjoy running, jumping, and playing so be sure to drink your coffee before starting the day with your new puppy. Puppies are still learning and will make mistakes. Be patient as they make mistakes. It is not uncommon for puppies to make stains or destroy items that we consider important. Expect these types of accidents and refrain from becoming angry when they happen. After a mess is made you’ll want to reach for dog-friendly cleaning supplies and avoid exposing your puppy to toxic chemicals. Petland stores carry urine cleaner and odor fighters that are non-toxic. The most important thing your puppy requires is your unconditional love. While there will be spills, accidents and messes, there will also be fun, joy, and friendship. Open up your heart and get ready to experience true love with your furry friend. Buying a dog is a commitment that requires time, energy and love. Bonding with dogs can be a lot different than bonding with humans. 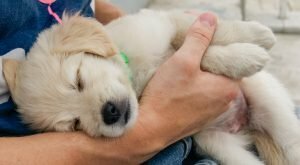 If you are concerned about your ability to form a lasting bond with your puppy, read to learn tips and tricks for bonding with your pet. Petland understands that when buying a dog one of the keys to a successful relationship is puppy training. This is why when buying a dog from Petland you can expect to receive the four basic needs tour and a training kit. Puppy training requires consistency and lots of positive reinforcement. Petland is here to support you through your journey with a group setting and personalized trainings so that you can have great communication with your pup. Breeds like Cockapoo puppies can require exercise as part of their daily routine. Luckily you need exercise too. Share this time and create a bonding experience by going on routine jogs in the park. The endorphins released during a short exercise session will help you and your pup bond and feel less stressed. Your dog loves naps just as much as you do. Try taking a nap together in your bed or on the couch. Waking up next to you can make your pup feel more connected and can strengthen your bond. A hungry dog isn’t happy, and a happy dog isn’t hungry. Try feeding your dog at the same time you eat to create a routine and prevent begging. Shared meal time also creates a bond by reinforcing equality among you and your pet. No more smelling human food and being denied a taste, as shared meal time helps dogs to focus on devouring their own food. Taking your dog with you on an adventure is another great way to improve your bond. Whether you go hiking or to the beach, a new setting with trusted friends can be just what the doctor ordered. Take your dog on out as you explore the world to experience the adventurous side of your best friend. In a perfect world, dogs and cats would be able to clearly communicate their needs, hopes, and desires. Unfortunately, our world is far from perfect and dogs can’t talk, so as responsible pet owners it’s up to us to become masters in reading doggy body language. Read on to learn a few common telltale dog behaviors we’ve seen in our 45 years of experience at Petland. A smile is a universal symbol for happiness in any language including for dogs. If your dog is seated or standing with a huge grin and tongue out, he is most likely happy. In our Petland locations, we offer Akita puppies and often see that these loyal friends are eager to please and quickly offer a smile to show they are happy. Dogs can be mistrustful and sometimes with reason. Dogs have the ability to pick up on emotional responses in human that we can miss. A suspicious dog will stand on all fours and lean forward with his ears erect. At Petland, we offer Mastiff pups for sale. While it is rare for a Mastiff pup to be suspicious, as they become older and attached to their owners, they can become protective of their territory and suspicious of intruders. Belly up is more than just a request for a good scratch. Dogs only reveal their belly to individuals they trust. This display shows vulnerability and is not to be taken for granted. A dog’s trust is not easily earned so this gesture represents a milestone in your relationship. The playful gesture can look like a dog bowing, with his hind legs straight forward, his front paws on the floor, and he’s rapidly wagging his tail. The playful position is usually seen in the midst of a game of tug-o-war or frisbee. Playtime is serious business for dogs so don’t be alarmed if your pup jumps from a relaxed position to a playful gesture. This just indicates it is time for fun. Learn more about dog behavior by visiting a Petland store near you. The connection between dog and man is undeniable, and as we age this bond becomes even more important. Elders who have dogs tend to feel less lonely and get more exercise. If you are reading this blog because you Googled “small dogs for sale near me,” then you are on the right track to finding the perfect breed for an elderly dog lover. Read on to learn the top 3 breeds for elderly dog lovers. If you appreciate loyalty and cuteness you might want to search for Teacup Pomeranian for sale. These adorable dogs are simply Pomeranians that weigh less than 7 pounds. Life with a Teacup Pomeranian will be filled with cheer, entertainment, and affection. 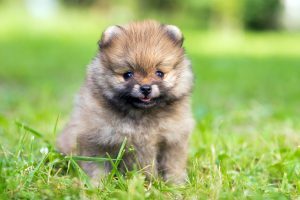 When you search Teacup Pomeranians for sale it is not unlikely to find that these dogs can cost upwards of $4,000 as they are often referred to as a specialty puppy but owners of these little ones will tell you they are worth every penny. Teacup Pomeranians are playful, active and friendly and rekindle a youthful feeling to an elderly dog lover. A Yorkiepoo is simply a mix between a Yorkshire Terrier and a Toy Poodle. 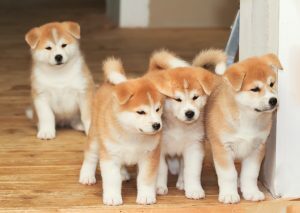 These tiny pooches are considered designer dogs as their temperament can be customized based on their genetics. In general Yorkiepoo dogs are easy to care for and with a mild temper. Yorkiepoos have the added benefit of being hypoallergenic and Yorkiepoos don’t require a great deal of exercise making them great for elderly dog lovers with limited mobility. 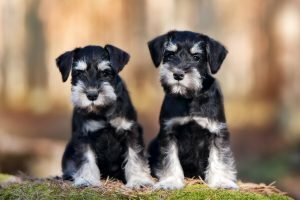 As an elder if you are looking for an active and fearless dog, search for Schnauzer puppies for sale. Schnauzer puppies are intelligent and train well. Like Yorkies, they are hypoallergenic but require weekly grooming which can be a great bonding activity. Their long life expectancy makes them a long-term companion for elders. So you’re back on the dating scene, but this time around you have a dog. Being a single pet parent can make dating complex. 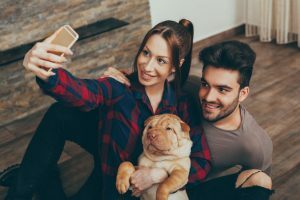 Read on to learn the tricks of the trade for dating when you have pets. As a pet parent, it is important to find a partner who shares the same love for pets as you do. A great way to find out if a potential partner likes animals is to go on a first date to a pet store. 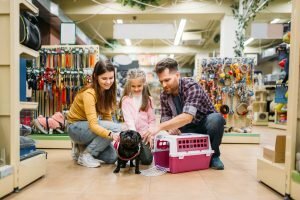 You can Google “pet stores near me with puppies” or Google “Petland stores.” Petland is an interactive pet store so you can see just how your potential partner behaves around pets. You’ll have so fun much in Petland stores, you’ll go there for every first date. Just as you wouldn’t rush to introduce your children to your dating prospects, take your time to introduce your pet. Certain breeds such lab pups can be extremely protective of their territory and owners. 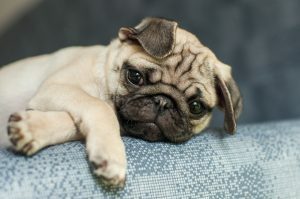 A premature introduction can cause stress and anxiety for your pup. You’ll know the right time to introduce your pet to the person you are dating. Pets especially dogs demand respect and acknowledgment. If you are planning to introduce your partner to your dog, discuss the proper way to acknowledge your dog upon entering your home. Ensure the introduction allows your dog to smell your new guest, but standby to ensure your dog doesn’t intimidate your guest with rowdy behavior such as jumping or scratching. Don’t forget about your pup just because you have a new love interest. Be sure to balance your time and don’t decrease playtime with your puppy. Dogs can smell scents of new people and can become depressed if they feel they are losing their best friend. Remember that relationships come and go, but best friends are for life. Make your puppy feel as special as possible, because nothing compares to the bond between humans and animals.